Girls the world over have gazed upon the lithe bodies and graceful movements of professional ballerinas of stage and screen with a mixture of awe and envy. Little do these starry-eyes dreamers know of the long hours, sacrifice, blood, sweat, and tears behind the magic of the twinkling lights and tutus. 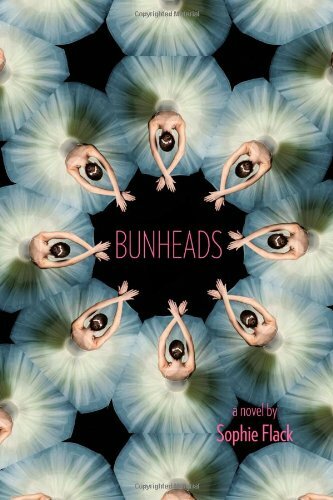 Sophie Flack's "Bunheads" is a captivatingly honest look into the real world of ballet. Showing the reader that though the dance that is shown to the world may be utter perfection; the lives of those dancing are anything but. There are rivalries, injuries, disorders, friendships, tragedies, and triumphs all seemingly woven from the same delicate threads which secure each dancer into his or her beloved toe shoes. Ms. Flack not only manages to bring the reader into the world of Hannah Ward, but to make him or her a "fly on the wall" so to speak during moments of her life. It is during these snap-shot moments that we come to realize just how tight the confines of the dance can be on not only the dancer, but also on his or her life. You can dance your life away and be nothing more than just "one of the corps". This book is a wonderful example of an author "writing what she knows". I was not aware just how much of herself the authoress has written into her book until I had finished the book and was reading the jacket flap for contact info. The intimacy, truth, love, and meticulous attention to detail exemplified in this book could not have been achieved in any other way. I love books that include dance. This has been sitting on my shelf forever. I must admit that I picked it up for the beautiful cover, but from your review, it sounds like so much more than that. Great review.